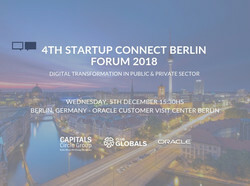 "The Digital Transformation Challenge in public & private sector"
Following three successful StartupConnect.Berlin forums in the previous years always in cooperation with institutional partners, countries and regios as int. 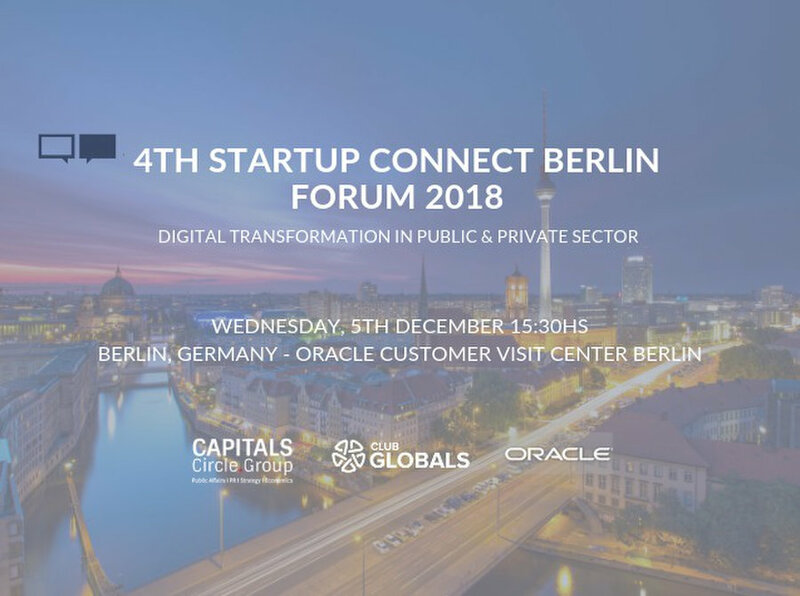 Partners and established brands as forum partners and every year with a differnt focus relevant topic, we continue in 2018 with our 4th StartupConnect.Berlin (https://startupconnect.berlin/) on 5.12.2018 (15.30 - 21.30 with Networking Reception too) on Digital World 4.0. The Digital Transformation Challenge in public & private sector. 1. The Future of Digital State & Smart Cities (incl. International partnership with other countries etc.). 2. Smart Cities & e-Government Initiatives (Collaboration Schemes of Startups with Tech Brands), Programs, Projects. 3. Digital Transformation in private sector (Collaboration Schemes of Startups with Tech Brands & Corporations). 4. Cybersecurity in e-government & Digital Transformation Processes. 5. The Startups Finalists Pitch.